Collier County commissioners voted Tuesday to add a fire station in Ave Maria in an effort to save more lives. Immokalee Fire Control District and Collier County Emergency Medical Systems currently share a trailer to serve the Ave Maria area. But fire crews will soon trade their trailer for a building. 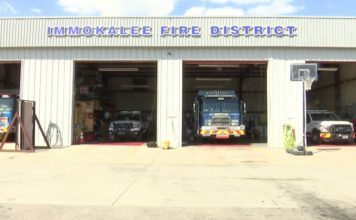 Immokalee fire chief Michael Choate hopes to get the permits and plans they need in time to break ground by Christmas. The goal is to eventually accommodate more firefighters, county EMS workers and even deputies in the building. The new building could also add a second fire truck. Impact fees collected from Ave Maria homeowners would pay for the $4 million facility.